Have you ever heard of a hobbyist actually finishing the stuff he/she bought? I think it's almost unheard of, at least in our gaming group. But what if you're not in a painting mood but you want to build? 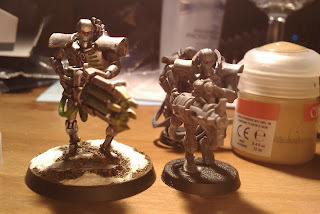 Then you build, even though you got unfinished models lying around. Because there's no sin worse than letting creativity fly away into nothing! That is a good thing to tell yourself when you are in the mood for some new plastics or resin. 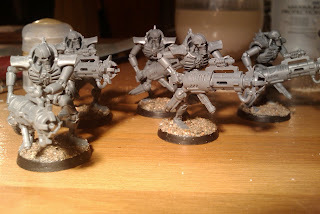 And I wanted the new plastics from GW so badly I actually believed that. massive shields are way too cool to pass up. Wether they will be worth their 45 Pts a piece really doesn't matter since they got freaking huge shields! 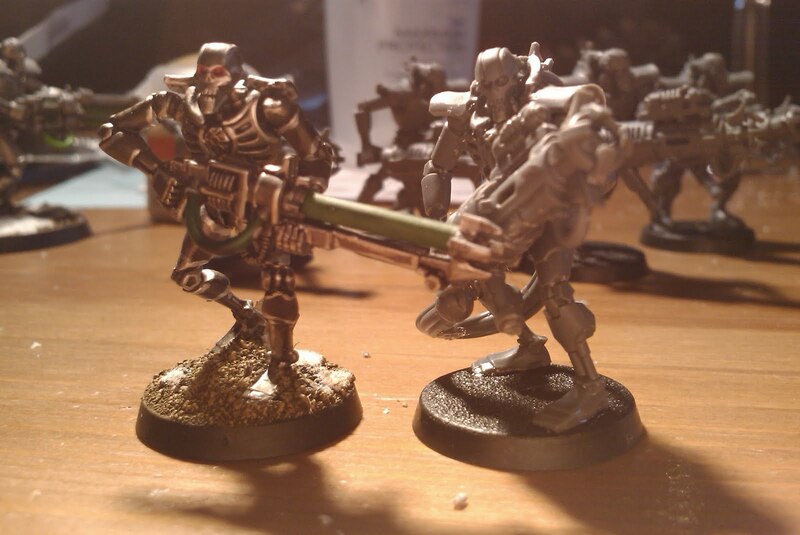 Och, and a lord with Warschyte and Resurrection Orb from the Annihilation Barge kit seemed like a good idea to put together. Next up was some Immortals. "Why get more Immortals, you already got ten?" you might say. Well, as you can see the size difference is somewhat... apparent. 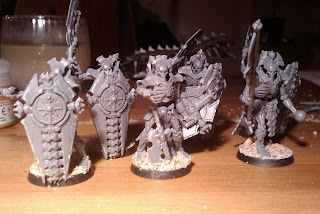 My old ones are bigger than both the Lycheguards and the new finecast Overlord. Perhaps I can use them in Apocalypse someday, we'll see. If you click a picture a size comparison witha warrior and an immortal comes. Is that the some for you? I understand why you bought new imortals! But the best buy ever is the shield robots! they are so cool.